Switzerland, located in the content of Europe is the 137th largest nation in the world with a total area of 41,277 square kilometers. Switzerland was founded as a distinct and original nation in 1291. 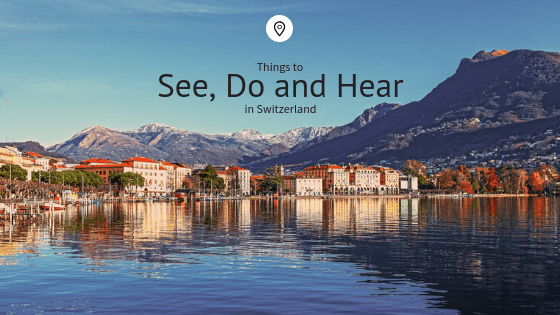 The beautiful mountains and lakes to delicious food and beautiful cites, Switzerland is one place not to hesitate to check off on your bucket list. This is St Gallen’s abbey library and is one of the world’s oldest and finest examples of rococo architecture. It is filled with priceless leather-bound books and manuscripts painstakingly written. They were handwritten and illustrated by monks during the middle ages. Multilingual audioguides are available, as are felt slippers to protect the floor. This gorgeous crescent-shaped lake curves past the wooded peaks of Pfannenstiel to the east and the Albis chain to the west. If you are looking to get around the city, opt for the scenic route. There is a promenade along the east shore in Seefeld quarter. You can look over to Uetliberg and see the hundreds of yachts and other craft breezing across the lake in the summer. This historic town makes up the entirety of District 1 and is center on both banks of the Limmat. The streets are filled with culture, nightlife, and shopping. They are also of a medieval and early modern design. You are happy to get lost in this breathtaking historic town to explore squares, cafes, shops, and all manner of historic monuments from the four medieval churches to 17-century Town Hall. This museum contains Switzerland’s biggest collection of historical artifacts. Here you can explore Swiss culture that’ll guide you into the country’s past. First, you’ll begin with prehistoric weapons tools and pottery that will move you into the 20th century. The eras that are particularly well represented are the medieval period and its masterful Gothic art. In the Renaissance collection, there is an extensive display of wooden images, carved altars, and triptychs from chapels and churches around the country. You will not want to miss out on Swiff art movements in the gallery and browse the contents of Zurich’s former armory.